The International Documentary Association is recognizing the extraordinary contribution that the Academy of Motion Picture Arts and Sciences' Academy Film Archive has made to preserving historic documentaries for posterity. About 70,000 historic motion pictures are archived at the academy's Pickford Center for Motion Picture Study in Hollywood, California. Michael Pogorzelski, Academy Film Archive director, estimates that about 5,000 of those titles are documentaries, including the IDA collection. "It's hard to pin down the exact number because our nonfiction collection includes industrial films and newsreels as well as documentaries," he says. Pogorzelski notes that the founding members of the Academy announced their intentions to create a collection of films nominated for Oscars in 1933. "Producers of films nominated for an Academy Award were supposed to donate prints, but that didn't always happen," he explains. "The donated prints weren't archived in a climate-controlled environment for many years. So, unfortunately, many of those safety prints suffered from vinegar syndrome; acetate films give off the strong odor of vinegar as they deteriorate." The academy opened the Fairbanks Center for Motion Picture Study in 1991. It was the home of the Margaret Herrick Library as well as the Academy Film Archive and contained state-of-the-art film vaults. The academy took another giant step forward in 2002, when it opened The Pickford Center. The facility was built in 1947 to house radio and television studios. The 117,000-square-foot space contains film, video and paper vaults, the Linwood Dunn Theater and offices and research areas. "I believe the first documentary the archive preserved was a 1944 wartime, informational film called A Salute to France, directed by Jean Renoir," Pogorzelski says. In 1997 and 1998, the academy restored and archived Primary, the classic Drew Associates film that chronicled the John F. Kennedy and Hubert Humphrey battle for votes in Wisconsin in 1960. That was part of a commitment to restore and archive the Robert Drew film collection, including the Kennedy films he made with Drew Associates--Crisis: Behind a Presidential Commitment, Faces in November and Adventures on the New Frontier. Pogorzelski earned an undergraduate and a master's degree in film history at the University of Wisconsin, Madison, where his mentor was Maxine Fleckner Ducey, head of the Wisconsin Center for Film and Theater Research, and past president of the Association of Moving Image Archivists. "I put myself through school by working as a projectionist," he recalls. "I also processed film and ran a crude optical printer at the school's film lab." Pogorzelski moved to Los Angeles to work for the Academy Film Archive in 1996. "On a typical day, we'd spend the morning picking up rusty film cans stored in someone's garage," he recalls. "We'd inventory them, create records for the catalog, and arrange for and oversee restoration work before they were put into the archives." Ed Carter became documentary curator around 1998, and Pogorzelski was named director in 2000. He credits Carter with playing a seminal role in building the academy's nonfiction film library. "The archives came about at an important time in film history," Pogorzelski says. "We were able to collaborate with the major studios on many complicated restoration projects of feature films. The archive also got a discretionary budget from the academy that let us focus on orphan films, which were falling through the cracks. Many documentaries fell into that category." In preparing for the recent "Oscar's Docs" screening series, Carter embarked on several wild goose chases to find both the rights holders and the film elements for these Academy Award-winning doc features and shorts. "It was an eye-opening experience," according to Pogorzelski. "No one would know where the original negatives were or who could produce good, high-quality prints. Ed's search for a print to book for the show brought about several preservation projects for the archive." Another example: After World War II, the United States government produced a series of 16mm informational films about the Marshall Plan. The latter was a formal commitment made by the United States to aid in the recovery of European nations devastated by the war. Sandra Schulberg, a daughter of one of the directors, worked with Carter to put together a program that ran at the Berlin Film Festival and several US festivals this year. The academy has restored 10 of the original short films and another eight are slated for preservation. The Charles Guggenheim collection was donated to the academy about a year ago and includes the Oscar-winning documentaries Nine from Little Rock (1964), Robert Kennedy Remembered (1968), The Johnstown Flood (1989) and A Time for Justice (1994). Other documentarians whose works are archived by the academy include Les Blank, Robert Snyder, Jill Godmilow, Joseph Strick, Richard Pearce, Gary Conklin, Mel Stuart, Rob Epstein and DeWitt Sage. "Our policy is that films should be archived in their native format, but sometimes reality intervenes," Pogorzelski notes. "Marjoe, Hearts and Minds and Harlan County, USA were Oscar-winning documentaries shot on 16mm but shown in 35mm release prints. We used the 35mm blow-up negatives for our restoration work because they were in better shape than the 16mm originals." 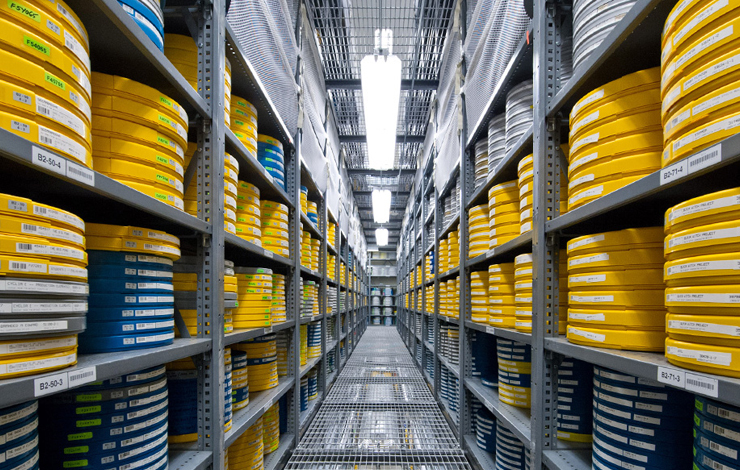 The Academy Film Archive is often the first stop for filmmakers who are researching future projects. The documentaries at the academy are indexed with subject headings, using Library of Congress guidelines. Films are offered to researchers in DVD or another video format. If there is a compelling reason, Pogorzelski says, arrangements can be made for viewing prints on flatbed consoles. "The films in our archives have enormous historic value, and they are also inspirational for new filmmakers," Pogorzelski says. "It is well worth the effort to spend time watching them and analyzing how these filmmakers told their stories." When asked what advice he has to offer to independent filmmakers concerned about preserving their films, Pogorzelski responds, "Don't put your film under your bed, in your garage or attic. It should be kept somewhere cool and dry, where the temperature is consistent. If you have any old nitrate-based film, get it to an archive because it's an incredible fire hazard. "Video is a different animal because the problem isn't just the survival of the media," he continues. "It's also the playback equipment. The two-inch quad videotape format from the 1950s is a good example. We have some of the very first broadcasts of the Academy Awards in two-inch format. The two-inch quad tapes were extremely robust and resilient. The problem is that I only know of six machines left in North America that can play them because the people who are able to repair and maintain those machines have retired or passed away. "MiniDV tapes seem to have the opposite problem," Pogorzelski says. "They are showing dropouts and other errors after only one year, probably because there's not a lot of real estate for the data, and they are also handled very aggressively by the machines. We recommend migrating them to a more robust format that is widely used and players are readily available." Pogorzelski cautions that could be an on-going process because the rapid evolution of digital video format results in the inevitable obsolesce of older formats. He points out that Sony recently announced that it is no longer supporting Beta SP. Bob Fisher has been writing about film preservation and cinematography for over 25 years.